Trevor Dodman holds a Ph.D. from Boston College and specializes in war literature. His book, Shell Shock, Memory, and the Novel in the Wake of World War I, was published by Cambridge University Press in 2015, and examines British and American shell shock novels in the company of diverse texts from the World War I era, including medical studies, hospital records, regimental histories, trench newspapers, mass media accounts, battlefield guidebooks, and physical memorial spaces. He is currently working on a research project involving literary and filmic representations of genocide in the twentieth century. In addition to teaching college level courses on modernism, the novel, and war literature for more than fifteen years, he has taught courses and directed year-long thesis projects for school teachers enrolled in Hood’s M.A. in Humanities program. Corey Campion, who holds a Ph.D. from Georgetown University, is a modern European historian specializing in Franco-German and trans-Atlantic relations. In addition to interdisciplinary pedagogy, his research focuses on the post-1945 Allied occupation of Germany, and he is currently working on a primary source reader that draws on German, French, and American sources to introduce students to the experience and meaning of war and occupation. 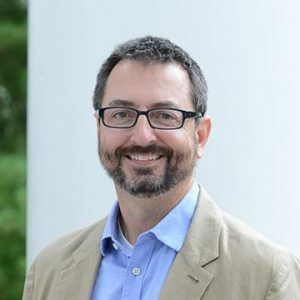 He teaches undergraduate and graduate courses on war and society, the First World War, Africa,and global empires, and has led students on a tour of World War I battlefields and memorials in France. Along with co-director Dodman, he will lead students on a similar tour in the spring of 2019. 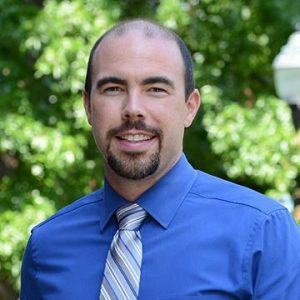 He has gained extensive experience working with K–12 classroom teachers through his work directing Hood’s M.A. in Humanities program, which primarily serves teachers pursuing interdisciplinary content-field training. In 2015, Campion was awarded Hood’s Graduate Teaching Excellence Award. Jennifer Cuddapah holds an Ed.D. in curriculum and teaching from Teacher’s College, Columbia University. A former classroom teacher, Dr. Cuddapah is an associate professor of education and serves as the secondary education coordinator for Hood College. She has published widely in education journals and coauthored professional development curricula for teachers. Jennifer Wingate is Associate Professor of Fine Arts at St. Francis College where she teaches art history and American studies. 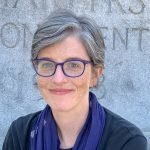 She is the author of Sculpting Doughboys: Memory, Gender, and Taste in America’s World War I Memorials(Ashgate, 2013) and co-editor of the journal Public Art Dialogue (Routledge). Her new research on the display of presidential portraits, “Framing Race in Personal and Political Spaces: New Deal Photographs of Franklin Delano Roosevelt Portraits in Domestic Settings,” will appear in the Summer/Fall 2018 issue of Winterthur Portfolio. Jennifer’s articles and essays have appeared in American Art, Public Art Dialogue, Panorama: the Journal of the Association of American Art, Woman’s Art Journal, and in the edited volumes, Women and Things: Gendered Material Strategies, 1750-1950 (2009) and Museums and Public Art? 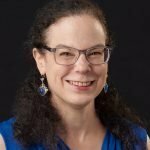 Susan Grayzel joined the faculty at Utah State University in 2017, teaching classes in modern European history, gender and women’s history, and the history of total war. 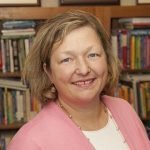 Her most recent publications include Gender and the Great War (Oxford University Press, 2017), co-edited with Tammy M. Proctor. Her previous books include Women’s Identities at War: Gender, Motherhood and Politics in Britain and France during the First World War (1999) and At Home and Under Fire: Air Raids & Culture in Britain from the Great War to the Blitz (2012). She is engaged in two current research projects; one tracing how the civilian gas mask came to embody efforts to address the consequences of chemical warfare in the British empire, c. 1915-45, and the second with Prof. Lucy Noakes (University of Essex) on gender, citizenship, and civil defence in twentieth-century Britain.